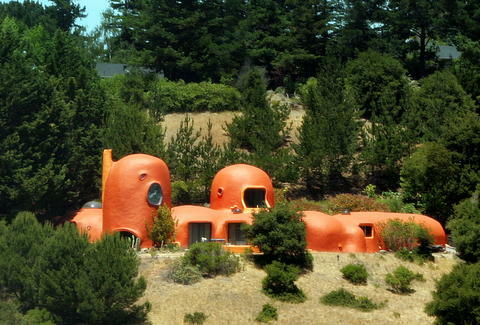 Turns out you don't have to move to Bedrock to live in the Flintstones' house. 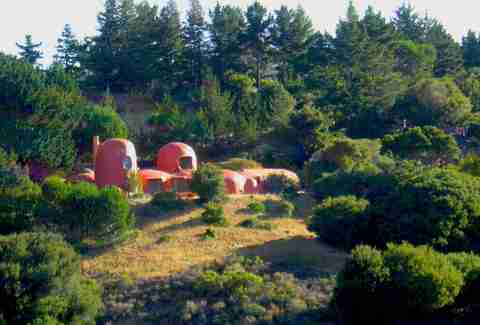 A famously bizarre looking house in the Bay Area -- lovingly referred to as the "Flintstone House" for its outlandish Stone-Age appearance -- is now on the market for a rumored $4.2 million, according to a report by Curbed. Too bad it's probably not something you can afford as Bronto Crane Operator. And, no, they won't accept payment in Clams. 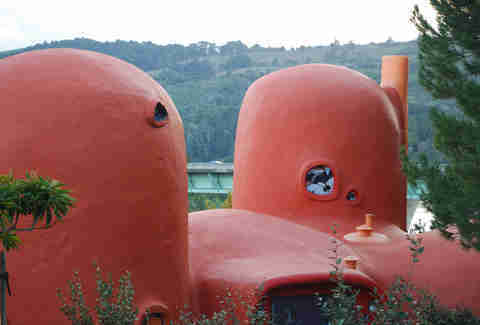 The sprawling, bright orange house has been a popular sight along a stretch of I-280 between Hillsborough and San Francisco since it was built as an "experiment in innovative building materials" in 1976 by architect William Nicholson, according to the report. The inside of the house, however, is a far cry from Wilma's rock-solid decorating. As CBS reported, a remodel in 2007 transformed the interior into something "pulled from the pages of a Dr. Seuss" book. With that said, who in the right mind wouldn't want to live there? You know you Yabba Dabba Doo! Tony Merevick is Cities News Editor at Thrillist and officially has the Flintstones theme song stuck in his head. Dammit. Send news tips to news@thrillist.com and follow him on Twitter @tonymerevick.